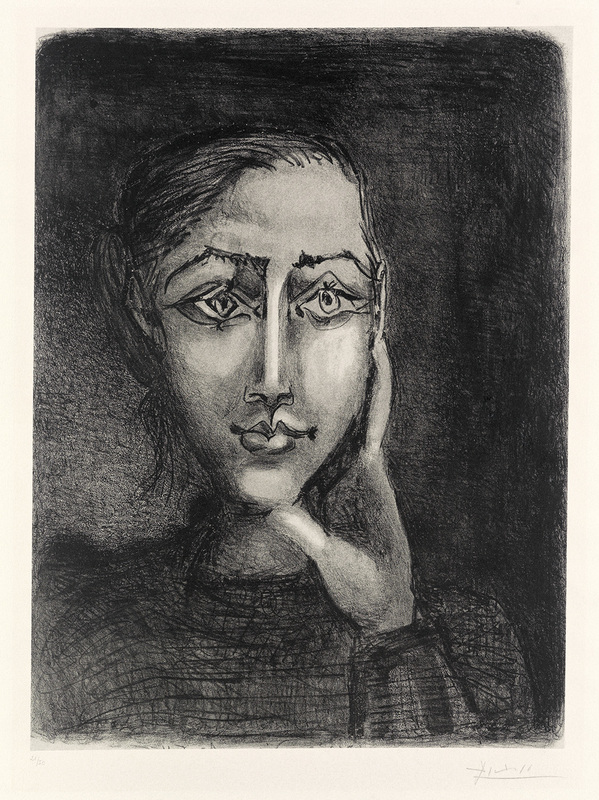 A large black-and-white lithograph by Pablo Picasso of Francoise Gilot, titled Francoise sur fond gris (1950), sold for $125,000 at a sale of 19th & 20th Century Prints & Drawings held September 19th by Swann Auction Galleries in New York City. Also, Salvador Dali’s watercolor from 1965 titled Elephant Spatiaux, fetched $60,000; Lyonel Feininger’s 1954 watercolor and ink titled Space made $47,500; and a 1935 color woodcut by Mauritis C. Escher, titled Day and Night hit $40,000. Prices include the buyer’s premium. 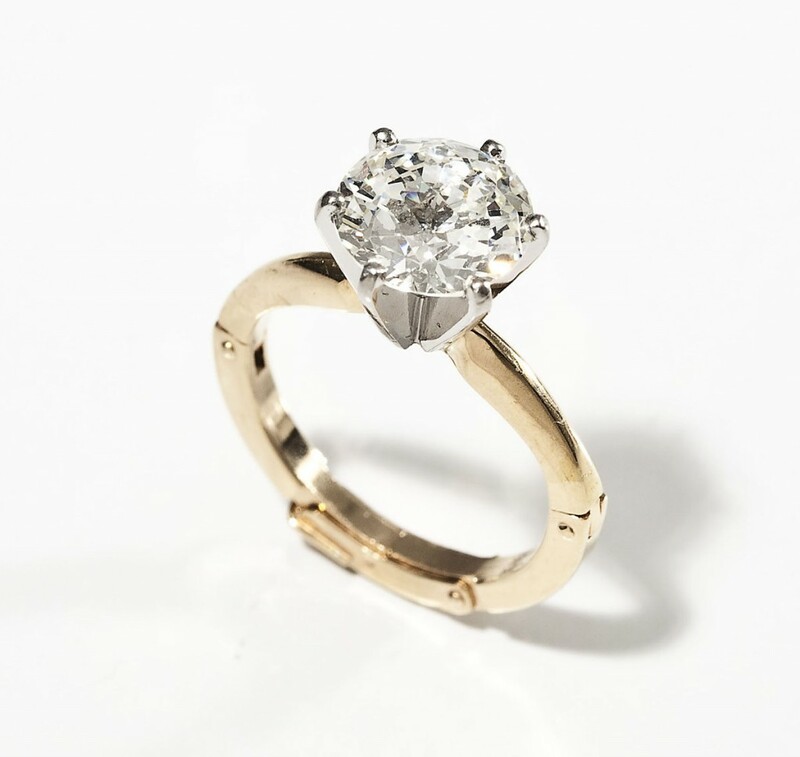 A 14kt 2.16-carat diamond solitaire ring sold for $16,000 at an Antique & Fine Art Auction held August 13th by Cordier Auction & Appraisals in Harrisburg, Pa. Also, a floating arm sectional sofa by Edward Wormley (Am., 1907-1997) for Dunbar realized $8,000; a late 19th century KPM porcelain plaque of Queen Louise, signed “Wagner”, commanded $4,000; a 1963 Studebaker Avanti car sped off for $9,500; and a Dwayne Simeon African Hok-Hok mask rose to $1,500. Prices include the buyer’s premium. 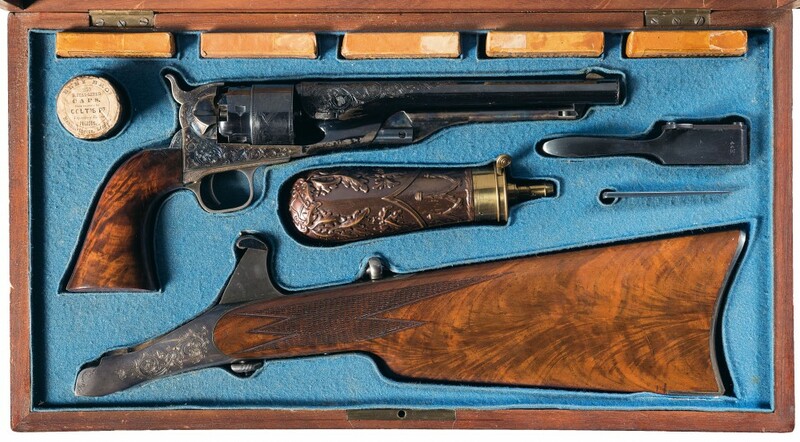 A Colt 1860 Army revolver with matching shoulder stock sold for $506,000 at Premiere Firearms Auction #71 held Sept. 8-10 by Rock Island Auction Company in Rock Island, Ill. Also, a deluxe engraved, black powder, nickel finish Colt single-action Army revolver hit the mark for $86,250; a Colt Model 1921 Thompson submachine gun, a/k/a “Chicago Typewriter”, rang out at $63,250; and a Smith & Wesson registered Magnum once owned by actor Gary Cooper earned $57,500. Prices include the buyer’s premium. 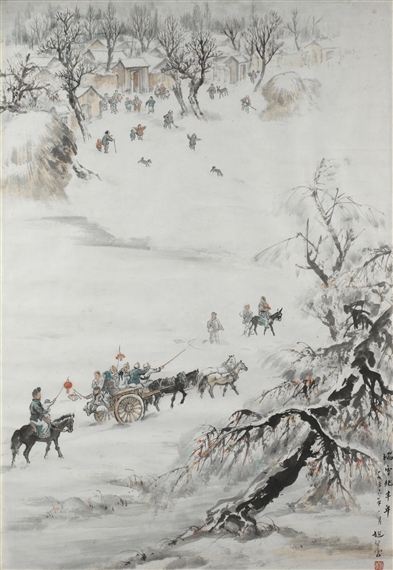 A painting by Zhao Wangyun (1906-1977), titled Returning in the Snow (1956), sold for $355,500 at Asian Art Sales held September 11th and 13th by Bonhams in New York City. Also, a painting by Liu Guosong (Liu Kuo-Sung, b. 1932), titled Which is Earth? D (1969), gaveled for $175,000; a group of ten woodblock prints by Gu Yuan, Yan Han and Wo Zha went for $156,250; Vulture by Pan Tianshou (1897-1971) breezed to $100,000; and a work by Qi Baishi made $56,250. Prices include the buyer’s premium. 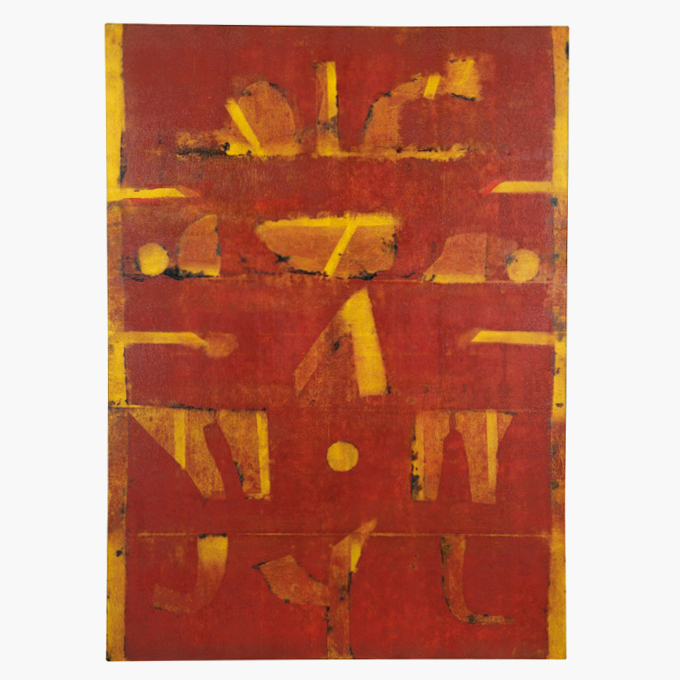 A seminal painting by Vasudeo S. Gaitonde, Untitled, sold for $4.092 million at Asian Art Week, held Sept. 12-15 by Christie’s in New York City. Also, a large gilt bronze figure of Buddha, made in Nepal in either the 13th or 14th century, coasted to $3.85 million; the Ya Yi Fangding, a Chinese bronze rectangular ritual food vessel from the late Shang dynasty, earned $3.37 million; and a pair of hanging scrolls by Ding Yunpeng and Sheng Maoye, Luohans, went for $1.07 million. Prices include the buyer’s premium.